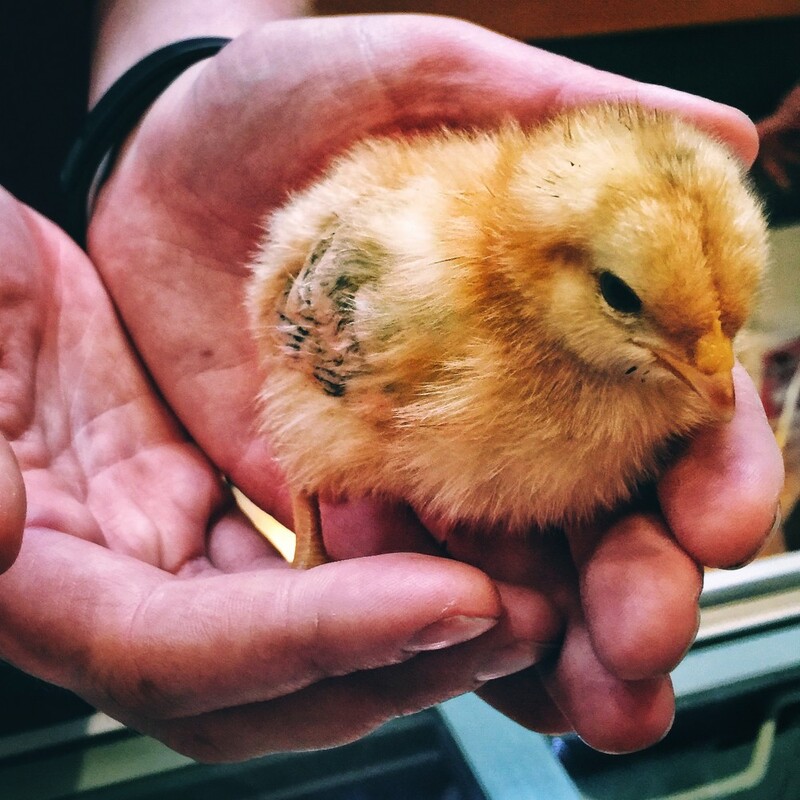 Just for this Easter weekend, Miller's By-Gone Farm is bringing newly hatched chicks and slightly older goslings to RFM Kids' Club! This is a great opportunity for kids to see what baby chickens and baby geese look like in person, and they can even hold a chick! And, yes - I'm sure it's ok for parents to hold one, too. Don't forget to tag us in your photos! RFM Kids' Club is on the lower level. There's no brunch* this weekend, but there will still be food available from the kitchen (lower level). The Market Meals menu will be finalized in the morning, and consists of items made by our very own vendors. In addition, Best Food Forward (located beside the kitchen) will have fresh artisan sandwiches (chicken, turkey, beef, or vegan), gluten friendly bowls, energy bites, and veggies with dip. 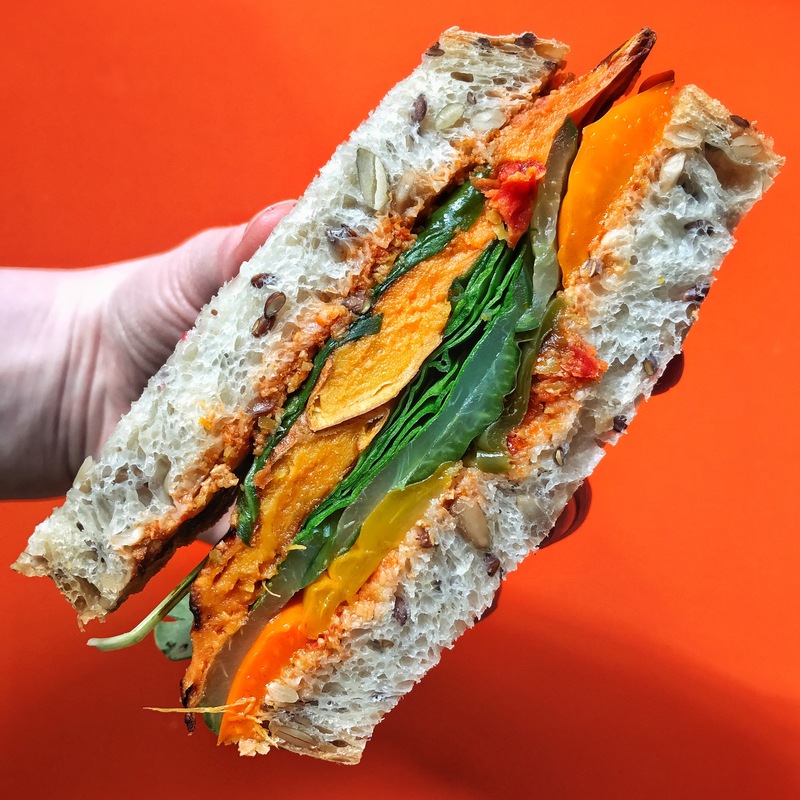 Pictured: vegan sandwich with roasted peppers & sweet potato, pickled cucumbers, greens, and olive sundried tomato paste on Saltine Baking Co. three seed bread. *Brunch is returning, however - El Tropezon will be in the kitchen for our LAST two indoor markets on April 22 & 29. You'll find Amarah Elizabeth at market tomorrow with her usual artwork and a few new products (hand-painted decorative items). Also, Amarah will be doing henna tattoos! It's a privilege to wear a small piece of her art, even if it is temporary. FYI - it's the last indoor market for ZMZ Smithing. He'll be returning in the summer. Including this Saturday, there are only THREE MARKETS LEFT until we move back to the Plaza! Saturday, May 6 will be the first market outside. After that, markets will occur on the Plaza every Wednesday and Saturday, 9 am to 1 pm, until mid-October.